The quirky box shaped table lamp is made from lightweight acetate and requires one 40w (max) screw-in candle bulb. Available in sleek Black or clean White. This fun box shaped table lamp is sourced from Cape Town. This light weight product features a clever lamp cut out design on the front of the box, resulting in good illumination. Requires a single 40 watt screw in bulb. The box shaped table lamp is flat packed and requires self-assembly as per the instruction leaflet. Alternatively we can assemble the light before posting to you, just send us a message via the 'Contact Us' page to let us know that you would like this free pre-assembled option. 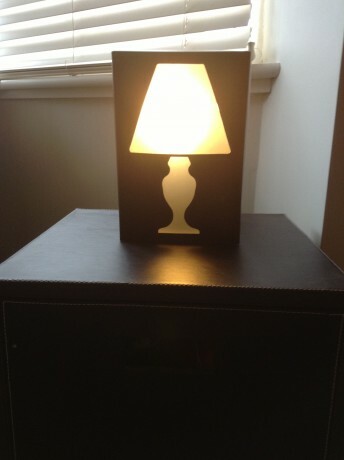 Suggestions for where to place the box shaped table lamp. A great lighting option for many areas in the home such as a teenager's rooms, student accommodation or someone looking to add a touch of fun to a contemporary interior scheme. Create a contemporary feel to your in your wall shelving or free standing shelf unit by using multiple lamps on the shelves. In a choice of black or white which will compliment many interior colour schemes. 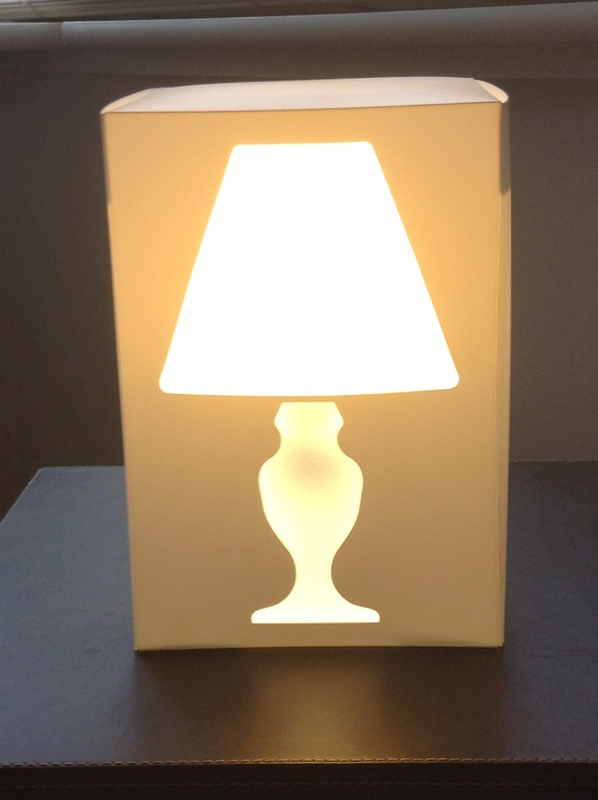 Box Shaped Table Lamp - available in White or Black.